Smith.ai has long been known for its integrations with contact management (CMS/CRM), business management, marketing, ticketing, calendaring, and billing software. We take a lot of pride not only in offering a wide range of integrations, but also in the speed with which we add new partners. We prioritize integrations because they drive efficiency. When your records, calendar, support tickets, invoices, and intake forms are synced with Smith.ai, you can spend less time on data entry and post-call follow-up work, which leaves you free to focus your valuable time on revenue-generating work. Now, you can see every Smith.ai integration partner on one handy page. Check it out: https://smith.ai/integrations. 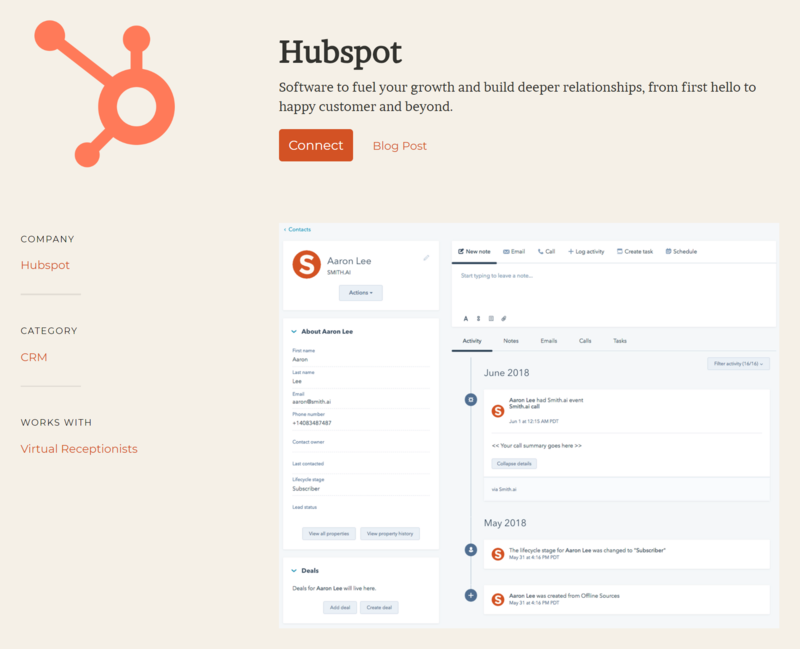 On each individual integration page, you'll see a description of the software partner, a "Connect" link to the setup instructions, a link to the blog post about the integration, and a brief summary of the integration features. Clio is law practice management software. When your Smith.ai and Clio accounts are linked, new contacts are added, existing client information is updated, and call summary notes are added under the communications log within a contact record. You can have the call tagged as a receptionist call, and then take any necessary actions with that new or existing contact. Slack is a chat app for businesses and the teams within them. Slack can integrate with Smith.ai in two primary ways. First, call summary notes can be piped into a dedicated channel where permitted team members can review them. Second, call transfer requests can be sent to a channel so that individuals with access to that channel can choose to accept or reject the call without having to answer their phone. It's easy to imagine how this could help a sales team: a new lead calls, a Smith.ai receptionist answers, a Slack message appears that the caller would like to speak to the sales team, a sales team member accepts the call by clicking "Accept" in Slack, and as soon as the call is transferred, the call summary appears in Slack, so the sales representative has the caller's details and is prepared for the call. Calendly is an online scheduling tool with free and paid plans for individuals and teams. It sits on top of your Google Calendar, iCalendar, or Outlook Calendar, and makes it possible for leads and clients to book time with you, based on your availability, preferences, and other criteria. When Smith.ai receptionists capture and qualify a new lead, many of our clients request that we schedule an appointment for a call-back or consultation, so that you can further describe your services and turn them into a client. With Calendly, we can access your calendar online, book the appointment when you're available, and send the new lead a calendar invite, too, without ever having to log in to your calendar, ensuring total privacy and security. LawPay is a secure legal payment solution administered by Affinipay that also offers a similar payment solution for CPAs and financial planning firms called CPA Charge. When your LawPay or CPACharge account is linked to Smith.ai, our receptionists can accept deposits and payments from clients securely by phone. We can also make outbound calls to clients whose retainers, subscriptions, and one-time bills are due, or even past due. At our core, Smith.ai is here to make your business more productive, professional, and profitable. When your records, calendar, support tickets, invoices, and intake forms are synced with Smith.ai, you can spend less time on data entry and post-call follow-up work, which leaves you free to focus your valuable time on revenue-generating work. Simply put, integrations allow you to get more done with our receptionists. Increase efficiency by eliminating chores and tasks that consume your limited time, like creating contact records for new clients. Eliminate typographical errors that result from manual data entry. Reduce time spent on scheduling, intake, and payment collection. Receptionist services that just take a message and leave the follow-up work to you are behind the times. We can add call-backs and appointments to your calendar, complete new client intake using your forms, conveniently and securely accept payments by phone, and more. Do I need to do anything "technical?" Never. The most we'll ever ask you to do is log in to the account you have with the software partner, click a few buttons, and send us a link or key code. We always provide easy-to-follow directions. If I add an integration to my Smith.ai account, is my data private and secure? Absolutely! Your data and your privacy are totally protected. We will only ever add and update information, whether that's adding a new phone number to an existing client record, creating a new appointment, completing a new client intake form, or the like. Think of us as a "contributor" with very limited access to your account. We will never delete, "read," or modify your records. Many of our clients are attorneys and financial professionals, so we understand data privacy requirements at the strictest levels and fully comply with your confidentiality requirements. 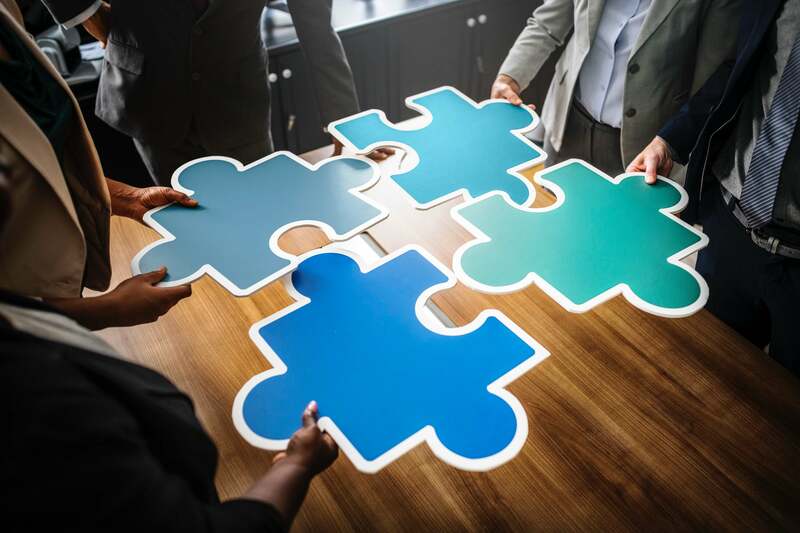 When we integrate with a software program for you, our engineering team sets up a data connection that essentially runs in the background. Meaning, our live receptionists never have the ability to access your account or records — they simply follow the prompts we provide to them, and they are essentially "blind" to the rest of your data. We're constantly adding new integrations, and the vast majority of these happen at the request of our clients. Just complete this integration request form, and we'll do our best to fulfill your request. Please note that some integrations incur additional fees. For details, please visit the pricing page. We're here to help you get the most out of Smith.ai's receptionist services so that you can run a better business. Our support team is available Monday through Friday, 5am – 6pm PT / 8am – 9pm ET and can be reached by phone at (650) 727-6484 or by email at support@smith.ai.